Chef John Folse of Baton Rouge, Louisiana set a new world record for the world’s largest pot of gumbo. On December 27, 2018, Folse succeeded in his attempt to break his own record for the world’s largest pot of gumbo, which weighed 5,800 lbs and was set in 2015. The 2018 pot of gumbo weighed in at an unbelievable 6,800 lbs, setting a new world record! 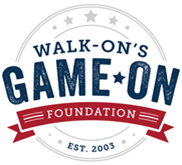 Folse began his latest attempt in the early morning hours of December 27, 2018, so that the delicious concoction would be ready in time to be served at the Walk On’s Independence Bowl Fan Fest. The gumbo took approximately 6 hours to prepare, but as anyone in Louisiana will tell you, it all starts with the perfect roux. Chef Folse’s team began making the roux around 3 AM. How Was the World’s Largest Pot of Gumbo Measured? 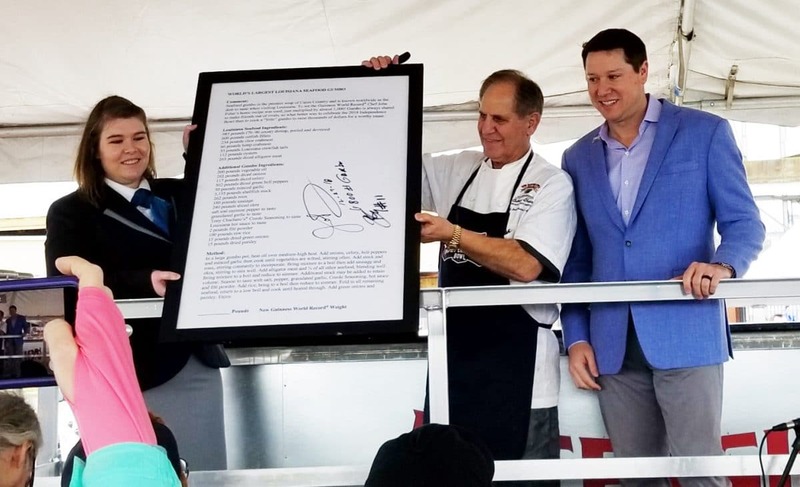 The ingredients included, among other things, over 2,000 lbs of seafood & meat! The gumbo was prepared atop a custom built trailer so that a wheel load weigher could be used to measure the pot of gumbo once it was complete. Wheel load weighers, commonly referred to as “wheel weighers” or “wheel weigher scales” were placed under each of the trailer supports to measure the total weight. The wheel weigher scales were supplied by the Louisiana State Police Department and the weighment was verified by Michelli Weighing & Measurement. 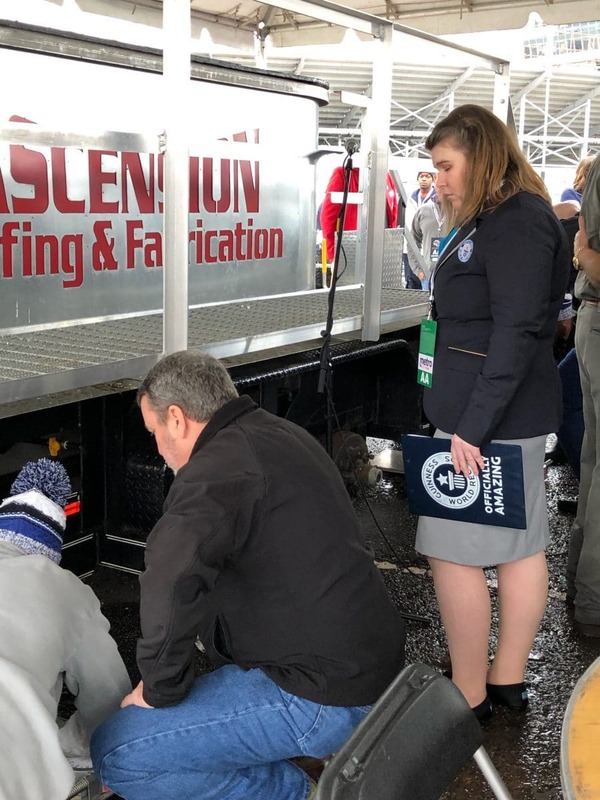 Our Corporate Secretary Bobby McDill, out of the Michelli Weighing & Measurement Shreveport location, attended the event to ensure the weight was correct. 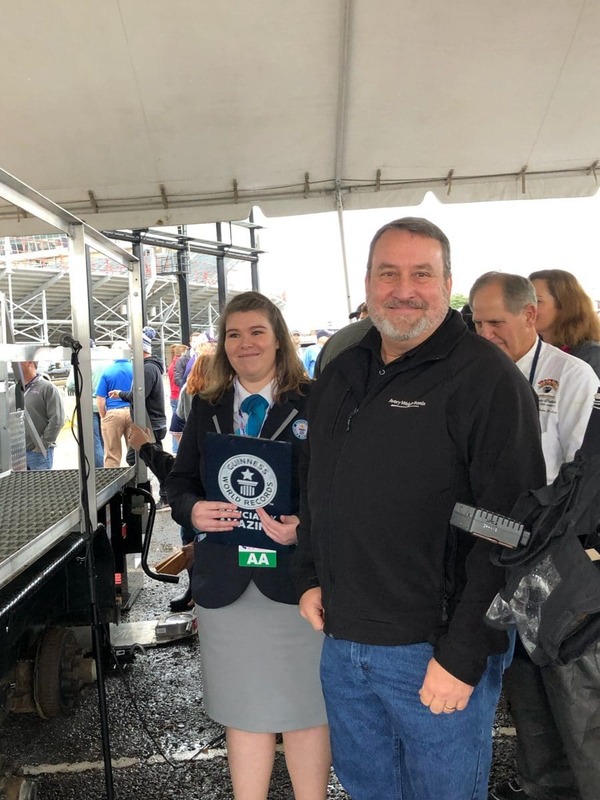 Michelli Weighing & Measurement Corporate Secretary Bobby McDill with the Guinness Book of World Records Representative on site. A wheel weigher or wheel load weigher is used to weigh axles. Typically, wheel weigher scales are used as portable vehicle scales. When weighing a vehicle, 2 wheel weighers are used to measure each vehicle axle. The weighments are then added together to give you the total weight of the vehicle. Wheel weighers play an important role in transportation & logistics. Companies can use wheel weighers as a more convenient solution than truck scales to verify that their transport vehicles aren’t underloaded or overloaded. If a truck is underloaded, the company could add more to the haul to ensure they are shipping the maximum amount, therefore getting the most out of their investment in transportation. If a transport vehicle is overloaded, the vehicle isn’t safe to travel over public roads. The load could cause issues with the vehicle’s tires, resulting in a dangerous situation for drivers, or damage to the roadways. A vehicle over the maximum weight capacity for the axle size is susceptible to traffic fines. Wheel weighers are often used in traffic stops to verify that cargo carried by transport vehicles meets DOT weight requirements. What Happened to All That Gumbo? The gumbo was sold for $5 per bowl at the Walk On’s Independence Bowl Fan Fest. It was also sold in 5 gallon buckets! The proceeds from the gumbo sales totaled over $50,000.00, which was donated to Fisher House Foundation. The Fisher House Foundation builds “comfort homes”. These homes are designated for the use of military & veteran families to stay in free of charge while a loved one is in the hospital. Thank you for reading. We hope you enjoyed this post! Check back often to learn about how weighing & measurement affects the world around us every day.